Canada has admitted the largest number of refugees in a single year in nearly four decades, according to the Office of the United Nations High Commissioner for Refugees. 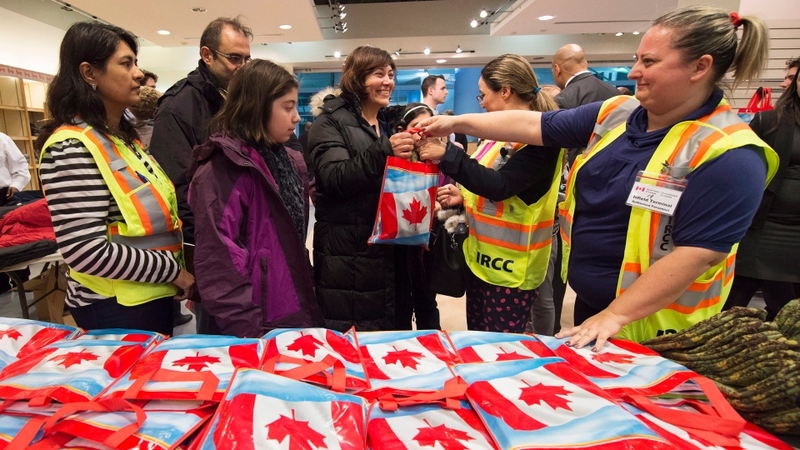 The resettlement of 46,700 refugees in 2016 marks a “tremendous achievement” and a record for Canada since 1978, when the Immigration Act came into effect, the UNHCR representative in Canada said Monday. “We are very delighted that last year such large numbers (of refugees) were able to be resettled,” Jean-Nicolas Beuze told CTVNews.ca in a telephone interview from Ottawa. The record number includes both privately-and government-sponsored refugees. The Liberal government’s pledge to take in 25,000 Syrian refugees in 2015 – and thousands more since – has become one of Canada’s largest resettlement efforts. The previous record for refugee intake in a single year was set in 1980, when Canada accepted 40,271 people during the resettlement of Indochinese refugees, the UNHCR said. Beuze said that Canada was the No. 2 country for refugee resettlement last year. The United States, which resettled 84,995 refugees in 2016, ranked at the top. “The global need remains huge,” Beuze said. There are currently an estimated 21 million forcibly displaced people worldwide, and 1,190,000 refugees in need of resettlement this year, the UNHCR said. In a UNHCR news release, Canada’s Minister of Immigration, Refugees and Citizenship Ahmed Hussen said that Ottawa is “proud” to work with the global refugee agency. "Canada hopes to increase global refugee resettlement and support ‎civil society and other jurisdictions to expand resettlement along with developing other solutions for the world's most vulnerable,” he said. The UNHCR is highlighting the story of one Syrian family that started a new life in Saint John, N.B. Nasser and Shamsa Alrajab arrived in February, 2016 with their five children, of which three are severely disabled. Thanks to much-needed health-care and community programs, the family is now adapting to life in Canada, the UNHCR said. Although a recent report found that integration and financial independence remain a challenge for many Syrian refugees a year after their arrival, Beuze said that overall, refugees in Canada end up doing very well. He said the majority of refugees find jobs and develop a strong attachment to Canada over the years. Children integrate very well, he said, because they are able to pick up English or French quickly and usually thrive in school.